Last summer, residents of Yakutat spoke up about a serious health concern: Were the number of illnesses – particularly cancers – being reported in the community higher than expected? 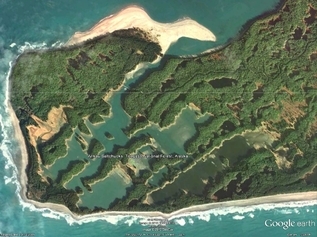 Were those cancers related to waste left behind from former military installations on the nearby Ankau Saltchucks of the Phipps Peninsula? In June 2014, Joe Sarcone of the Agency for Toxic Substances and Disease Registry (ATSDR), U.S. Department of Health and Human Services, contacted the Alaska Cancer Program about the community’s concern. The Alaska Cancer Program responded by launching a study of cancer incidence and mortality of the Yakutat area. Community concerns were raised because leftover military waste was found on the Ankau Saltchucks in places that had been traditionally used as a source for subsistence food. The Yakutat Tlingit Tribe also ran a seasonal Culture Camp there through 2003 to teach children about the traditional Tlingit way of life and subsistence foods. The cancer study resulted in several reports. Two reports involved calculating the number of new cancer cases and cancer deaths from 1996-2011 that one would expect to find, given the overall statewide cancer rate and Yakutat’s own population distribution. The Alaska Cancer Program then compared this expected number of new cancer cases and deaths to the actual number of observed cases and deaths reported by healthcare providers during the same time period. The difference between the number of expected and observed cases and deaths was found to be small (0 cancer cases and 3 cancer deaths) and not statistically significant. Another report reviewed the number of new cancer cases and cancer deaths per year, as well as the types of cancers. The distribution of cases and deaths by year appears to be random and there does not appear to be a high number of uncommon cancers. Given that, the Alaska Cancer Program concluded that the number and types of cancers in Yakutat does not appear to be unusual, and so the military waste in the area was not causing any additional cancers in the community. Several program staff shared the results of the study with Yakutat residents at a community meeting last summer. Yakutat’s response to the Alaska Cancer Program study was positive. Leaders of the Yakutat Tlingit Tribe decided to shift their attention from trying to find causes of cancer in their community to screening and early detection of cancer in their community. SEARHC (Southeast Alaska Regional Health Consortium) was contacted to check on the availability of screening technology for Yakutat. SEARHC arranged for and funded the transportation of a mobile mammography unit from the Breast Cancer Detection Center in Fairbanks by vehicle and ferry for use in Yakutat. There were 41 women who received mammograms in May 2015. SEARHC plans to continue to send the unit to Yakutat on an annual basis. 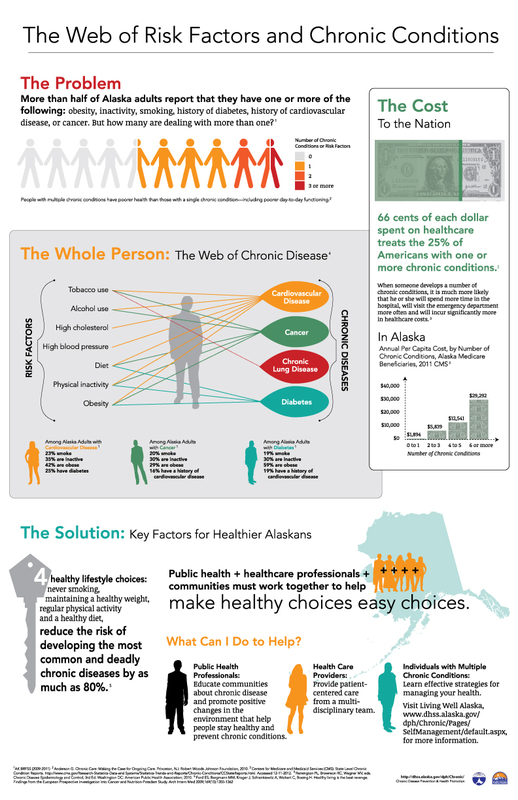 David O’Brien, a data analyst with the Alaska Cancer Program, will share the results of this study at 1 p.m., Tuesday, August 18, during the monthly webinar series offered through the Section of Chronic Disease Prevention and Health Promotion. The Section’s webinars are free and short — lasting about 20 minutes, with 10 additional minutes for questions and answers and to explore ways partners can work together on public health projects. The webinars air live the third Tuesday of every month at 1 p.m. Click here to register for and watch this and future live webinars. Past webinars will be archived on the Section’s web page about the webinar series.